We are evolving. We may not see it in the short term but we are continuously moving forward. Contrary to popular thought, our evolution is not the evolution of the one, it is the evolution of the collective. Science has shown us that before there were multicellular organisms on this planet there were only single cells. For millions and millions of years there were just single cells living out their single cell ‘lives’. Sadly, awareness for these single little cells was what came in contact with the surface of their membrane. A great evolutionary step came when the cells recognized that they could increase there survival rate by gaining more awareness. There are 2 ways for a cell to gain more membrane (awareness), (1) grow bigger, which has it limitations because a cell can only get so big, or (2) cells could come together and share membrane. In reality, your body is a busy collection of amoebas working together, sharing jobs and information all to ensure your survival. Now, think of yourself as a cell in a greater collective brought together to share awareness. Every person on this planet is a cell in this collective, contributing their own membrane creating a synergy of awareness. All of this to create one living organism that we could call the human race. When we can come together to recognize what’s happening and begin to work in a coherent fashion we will have stepped up to the next level of evolution. Another of my great teachers, Bruce Lipton talks about this. He says that the cell of the human is essentially the same as the cell of the amoeba…the human form is a reiteration of the single cell and as such is a fractal. When our collective is complete, the Earth as an organism will likewise have completed it’s evolution. The Earth is a living, breathing, pulsing entity. Just like when the cell was complete, it connected with other cells, now that the human is complete it is hooking up with other humans (think of technologies like the internet). In the future as the Earth is complete as a living organism, will it likewise hook up with other organisms of the same nature? Will Earth become a part of a galactic community? Only time will tell. We are indeed living in interesting times, sitting on the verge of going from the ‘me’ to the ‘we’ way of thinking and being. 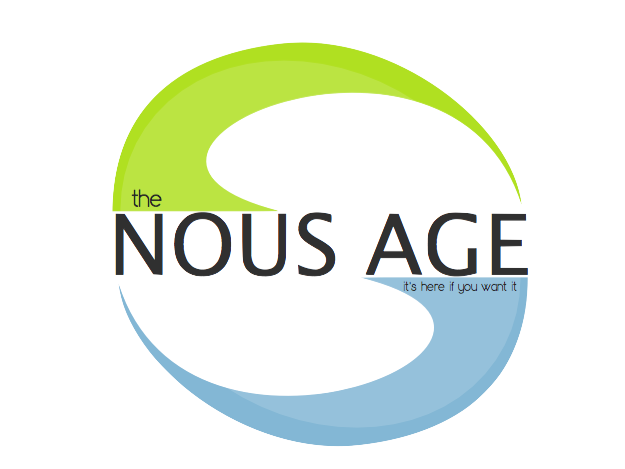 Welcome to The ‘Nous’ Age!